Going to thrift, antique, second-hand and used-stuff-for sale stores has long been a fascination of mine. Not only are all of wares ridiculously inexpensive (if you know which locales to visit), they all have hidden histories and a varnish that beckons a fantasy-filled story to be told about them. These are my three latest finds, bought for just a few coins. 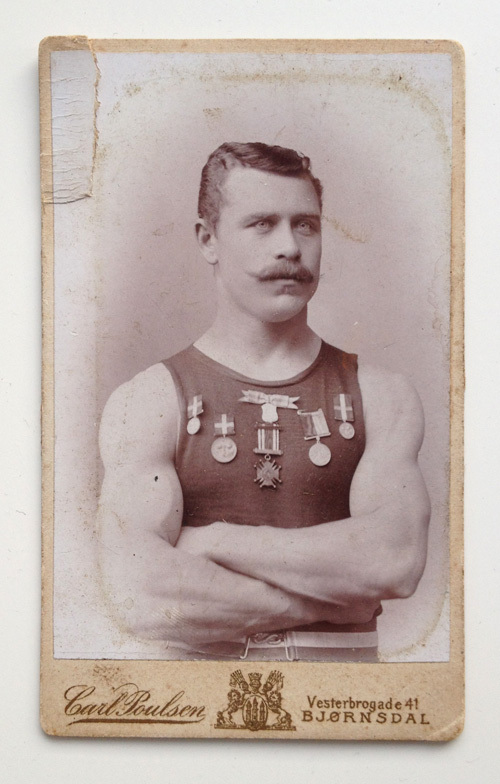 My super cool and overly-awarded tough long lost grand uncle. Hand me the spinach and mustache styling wax, I wish to follow in Onkel Oluf's footsteps! 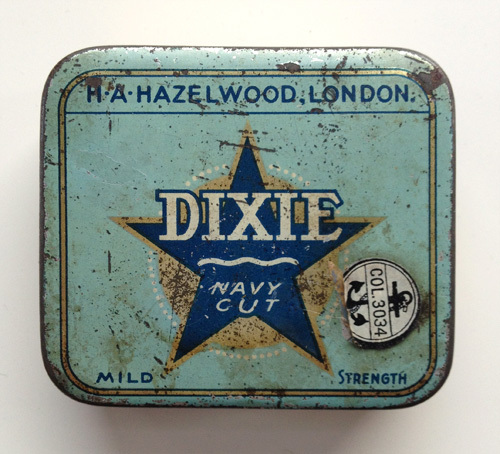 Perhaps this is what made Onkel Oluf the type of man that could win 6 medals: Dixie Navy Cut - MILD yet STRONG. Just like Oluf. 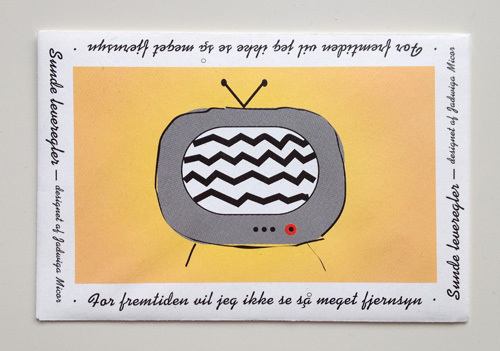 A little envelope that urges "In the future, I will watch less television." I agree. They probably didn't have television in Onkel Oluf's day anyways. I like Onkel Oluf’s DIXIE condom can. I thought the blue tin was for tobacco. Now I am in doubt about what Navy Cut actually means. Not tobacco or condoms… but knitting needles!